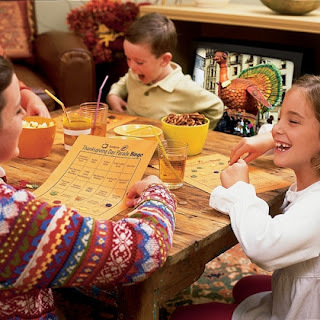 Kara's Getaways and Much Much More ~~~~ Where to Go What to Do: 2012 Thanksgiving Day Parade BINGO ~ print it and BRING it!!! 2012 Thanksgiving Day Parade BINGO ~ print it and BRING it!!! Family Fun Thanksgiving Parade Bingo as fun as these are, they were a little too generic for me. I went to the Macy's Parade Line Up web page and created my own anyway! We will be using these one week from tomorrow morning. I am thinking we may all put a dollar in to play and the winner gets the pot (you know us Catholics and our BINGO). You can right click on these individually and open in a new window then print away ~ I did mine on cardstock so they are more like true bingo boards! (I believe that should work.) A few explanations of some of the squares ~ FREE TURKEY POOP square is just your typical free square the word POOP just makes people giggle especially kids. While watching the parade players should look at their boards and CALL OUT the items, like "Pikachu" or "Santa Claus" as they show up on the TV. Place a marker on the corresponding square and the first player to get FIVE in a row horizontally, vertically, or diagonally WINS! We will be using pumpkin stickers as our markers but you can use anything from candy corns, acorns, pennies or pens to mark your squares. ONE NEW RULE that we found out from last year the hard way - DO NOT COUNT ANY OF THE THINGS SHOWN DURING THE OPENING SCENES - WHERE THEY DO A PREVIEW OF THE PARADE OTHERWISE ALL THE FUN WILL BE OVER BEFORE YOU KNOW IT! Super cute! Who ever thought of Thanksgiving Bingo or a homemade Bingo game of any kind, for that matter. Enjoy the holidays, Kara.